Last week wasn't all that frugal. It started off okay, but then I got busy so we ended up ordering Thai for one dinner and pizza for another. In the end, I think it was worth it though. I managed to finish a writing project I've been working on, which is a huge weight off my mind and will free up my time for other things in the coming weeks. As much as I'm trying to be more frugal, I also need to balance that against the realities of life. There are only so many hours in the day. That said, here are some of the things I did to save money last week. I sewed two doll's dresses out of the top my friend gave us a couple of week's back. 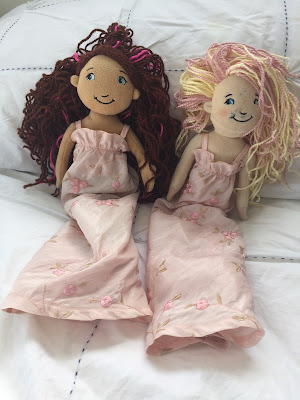 I was able to make one doll's dress for each of my daughters. 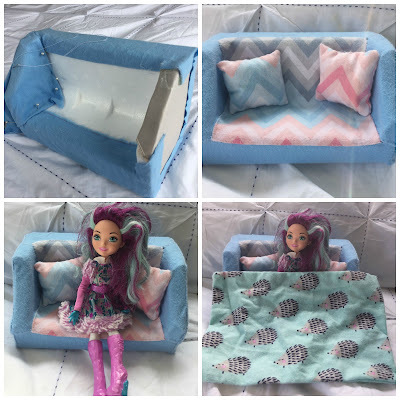 I made a doll's couch and blanket for L's upcoming birthday. The couch took absolutely forever to make, but at least it cost me nothing. I used some of the styrofoam packaging that my new printer came in for the shape, hot glued cardboard packaging from a cracker packet to the places that needed smoothing out and then sewed on some scraps of fabric that were leftover from sewing sheets for premature babies in NICU a couple of weeks back. I also sewed cushions for the couch and a doll's blanket. I've got plans to make more blankets and pillows, which I'll share with you when they're done. I finished drying the bay leaves I collected from a friend's house many weeks ago. I put them in the dehydrator on a low heat overnight. The leaves had been hanging from our clothes horse in the garage/Paul's office and were pretty dry already, but I decided to use the dehydrator to finish them off because I wanted to ensure they were thoroughly dry. I'm always nervous about mould sporing on food that hasn't been dried properly. 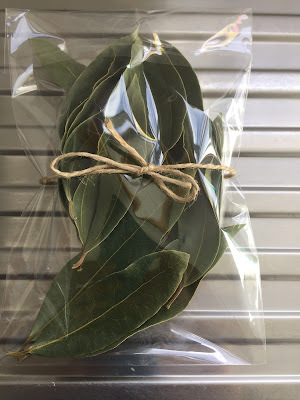 There were enough leaves to fill my bay leaf container, plus make ten packages of the nicest looking bay leaves to give away as gifts. I used cellophane bags I already had and tied them off with the twine I had used to hang the bay leaf branches from the clothes horse. 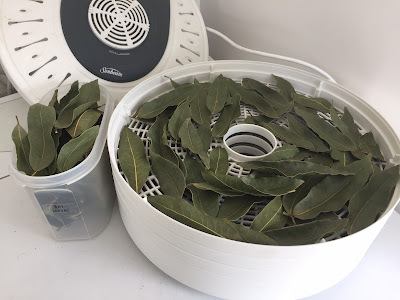 I also filled a container of slightly damaged bay leaves for my own use if I ever get through the initial container, and sprinkled lots of bay leaves in my pantry to deter bugs. I think I'm set for bay leaves for a while. 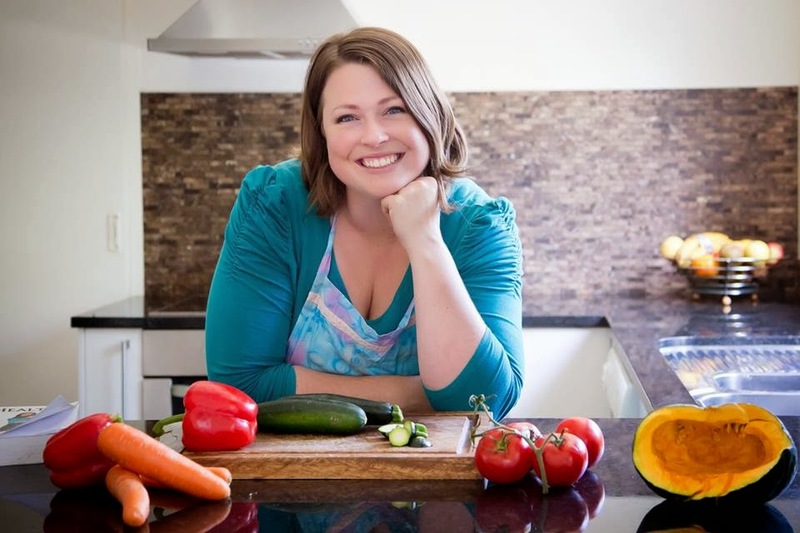 We ate one meatless meal - Quesadillas filled with homemade refried beans and grated cheese. I baked another batch of ginger crunch for school lunch boxes. It got gobbled up, so I'll need to think of something else to bake for this week. Maybe muffins. I gave our upstairs toilet a thorough clean underneath and behind using the spray cleaner I made out of vinegar, orange peels and thyme. I bought a kettle and two bedside lamps from the Salvation Army store when I went in to drop off some clothes J has outgrown. The kettle replaced one that kept sparking out. The bedside lamps were for the master bedroom, since Paul's one broke several months ago. I moved my old one into J's room, as he didn't have a bedside lamp. Now we've all got reading lamps. I watched the rest of Poldark series one with Paul for some at-home date nights. We ate blue cheese, crackers and my homemade chutney as we watched. I babysat for some friends who regularly babysit for us too. We don't charge each other, just swap services and it works great. I bought a new pair of shoes for J on sale. The toes of his old pair had worn through and his socks kept getting wet, so I decided to buy a more expensive brand with a leather toe cap this time. Hopefully they'll last until he outgrows them. I mended a squirrel costume for S to wear to an animal dress-up day at school. I also face-painted L like a cat for the same dress-up day, using the black World Organics liquid eyeliner. I read a library book - Holding up the Universe by Jennifer Niven (affiliate link). I printed a large document on my new printer and was so glad to be able to do it from home because I noticed a mistake that I was able to fix and easily re-print. 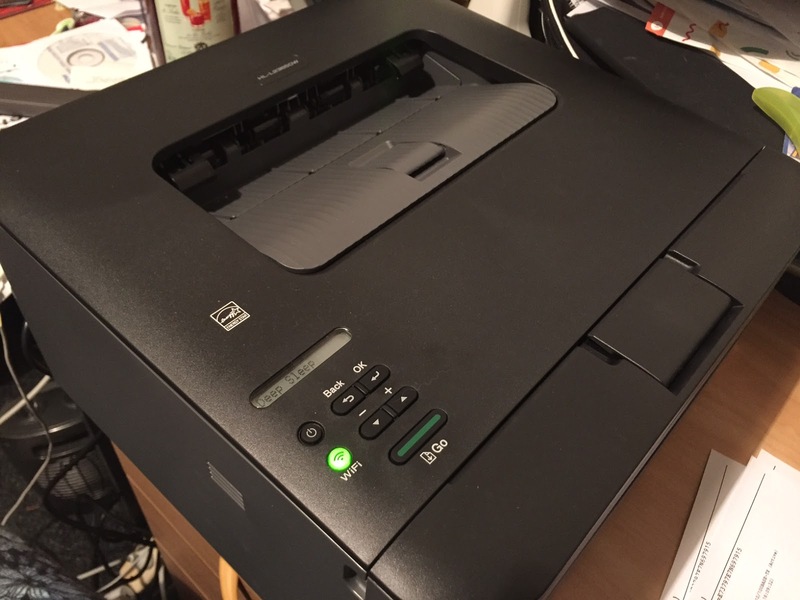 If I had printed through Warehouse Stationary like I'd originally planned (before I discovered how expensive it would be) I would have had to come home to fix the mistake and then drive back to Warehouse Stationary to re-print. What a waste of time and petrol that would have been. I think that's all my frugal doings from last week. Now I'd love to hear what you've been doing to save money.